Husky Office is proud to offer on-site professional assembly services through our partnered furniture assembly network. From in-home office chair assembly, to large scale corporate installations, our installation and assembly services are here to assist! You can add professional assembly services at the time of ordering, or after you've received your purchase. Some items will list an assembly option directly on the item page, but any item we offer is eligible for assembly. Please contact us for a professional assembly services quote. Once your order has been delivered, Husky Office will contact you within 24 hours to obtain two or three time gaps that will work for your install. Our assembly partners typically schedule three days in advance, so we will pass your preferred appointment times to our assembly partners, who will call you within 24-48 hours with your confirmed appointment time. John orders a chair on Monday and it is delivered on Thursday afternoon. John receives a call from our staff at Husky Office requesting three appointment windows that will work for his installation. Since our assembly partners schedule 3 days out, John provides the following Monday, Tuesday, and Wednesday as options. John also knows he is only available until noon on any given day, so we make sure this is noted. Within 24-48 hours, John receives a personal call from our assembly partner with the installer's name and his appointment time. In this case, the chair assembly appointment is scheduled for Tuesday at 9am. What is included with my professional assembly services? 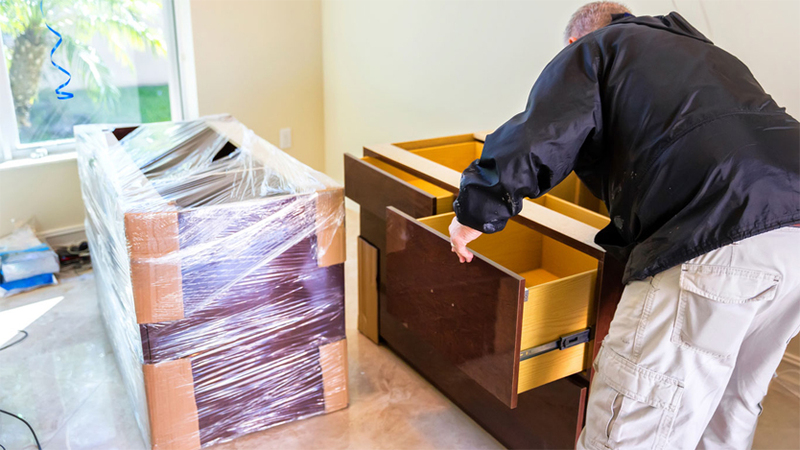 Your installer will unpack, unwrap, and assemble your item (s) upon arrival. Please have all items in the room in which you would like to have them assembled as installers are not responsible for moving packages or items to other rooms at the install location. Packaging will be stacked neatly in the corner, but please keep in mind that assembly partners are not responsible for discarding of any packaging. How do I pay for my chair assembly services? Assembly services are billed up front through Husky Office at the time of ordering your assembly services. If additional service requests are made during the installation that require an additional charge, you may be billed for these services after installation. Husky Office prefers that you do not request any additional installation services, unless you have made arrangements in advance at the time of ordering. That's okay - we understand things happen and you may need to adjust your appointment. All we request is a 24 hour notification. For cancellations or no-shows without 24 hours notice, a refused service fee of $50.00 will apply. If you have any questions about our professional assembly services, or are interested in a quote, please contact us for more information! **While our chair assembly partners are prepared to cover most of the 48 states, there may be some areas without coverage. Please contact us with any questions.